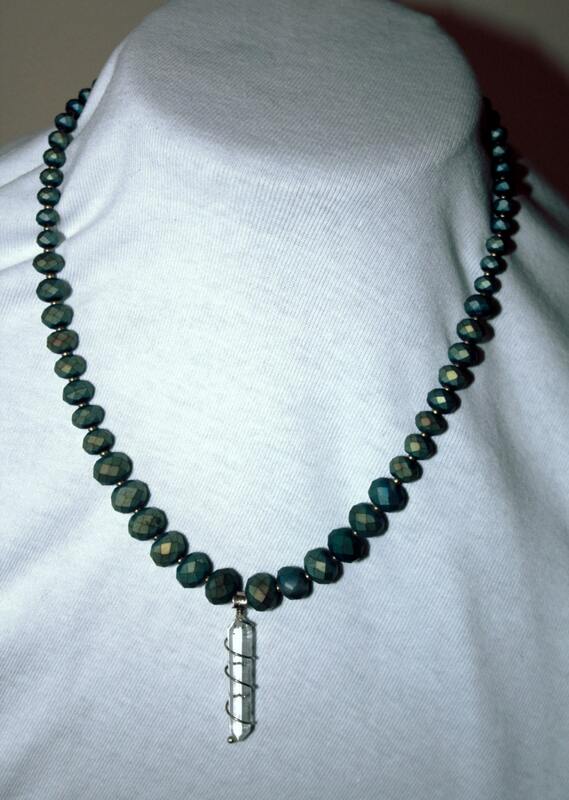 This is an 18" long necklace with soft blue raku style beads. They have a soft gold overtone and are spaced with brass colored seed beads. There is a wire wrapped quartz crystal pendant which is 1 1/2 inches long in the center. 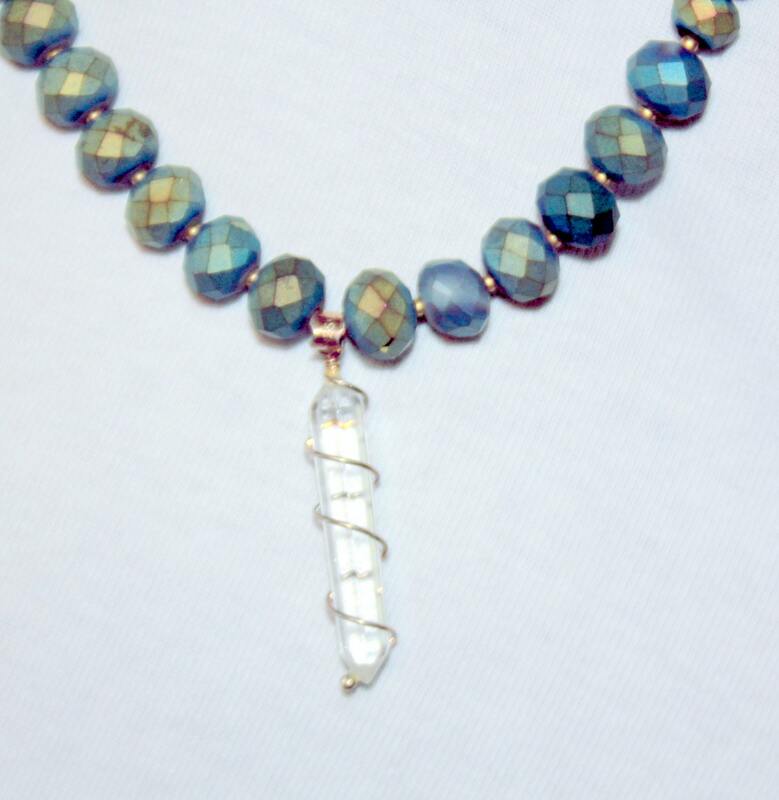 The beads are graduated to a smaller size up the neckline and has a soft brass colored toggle clasp. This piece looks great with casual attire and especially with jeans.